LOS ANGELES – The month of April is bringing about very strange happenings in the basketball world as Earvin “Magic” Johnson announced Tuesday that he is stepping down as the Los Angeles Lakers’ president of basketball operations the same day fellow Dream Team sharp-shooter Chris Mullin stepped down from his beloved St. John’s. Johnson took the job in March 2017 after the team fired Mitch Kupchak as general manager and removed Jim Buss as executive vice president of basketball operations. The Lakers were 37-44 entering Tuesday’s game against the Portland Trail Blazers. They were 35-47 last season. Mullin stepped down as St. John’s head coach with speculation falling on Arizona State coach Bobby Hurley as his replacement. Hurley comes with a hefty $2.5 million buyout and at least another $2.5 million in salary expectations for an estimated $12.5 million commitment from a school that has notoriously counted its chips. Mullin’s older brother, Roddy, died from cancer in early March. Former NCAA coach Rick Pitino told the New York Post on Tuesday that he would be interested in the job, but he wants an apology and to be cleared publicly by the U.S. Attorney’s Office for the Southern District of New York. Louisville fired Pitino in September 2017, in part because the government alleged Pitino was part of a play-for-pay scandal involving five-star recruit Brian Bowen. BOSTON – Matt Shoemaker pitched into the sixth inning to earn his third straight win, Lourdes Gurriel Jr. hit an RBI single and stole home, and the visiting Toronto Blue Jays defeated the Boston Red Sox 7-5 on the day the Red Sox raised their 2018 world championship banner and received their 2018 World Series rings at Fenway Park. Shoemaker (3-0) allowed five hits, two walks and four runs (two earned) and added four strikeouts as the Blue Jays ended a four-game losing streak. Ken Giles pitched around a single and a walk in the ninth to earn his third save of the season. Mitch Moreland and Mookie Betts homered for the Red Sox in their home opener. Moreland ‘s fourth homer this season came in the first inning. Boston led 2-0 in the second after Xander Bogaerts scored from third on a double-play grounder by Dustin Pedroia, who was removed from the injured list Tuesday. Bogaerts had reached base on a grounder when Shoemaker took first baseman Alen Hanson’s feed but failed to step on first base for an error. Bogaerts took third on a single by Rafael Devers. The Blue Jays scored twice in the third on singles by Hanson, Billy McKinney and Freddy Galvis, followed by a sacrifice fly by Teoscar Hernandez. Toronto added three runs in the fourth to lead 5-2. Randal Grichuk and Danny Jansen led off with singles. Grichuk took third on a passed ball. Gurriel hit an RBI single. Richard Urena sacrificed the runners to second and third. Jansen scored on a passed ball, and then Gurriel stole home. Betts hit his third homer this season to lead off the sixth inning. Tim Mayza replaced Shoemaker after Bogaerts walked with two out. Bogaerts scored when Hernandez dropped the ball for a two-base error on a fly to left by Devers. Daniel Hudson replaced Mayza to finish the inning and pitch a perfect seventh. Tyler Thornburg replaced Sale and allowed one hit in two innings before Heath Hembree took over in the seventh. After a two-out walk to Hernandez, Brandon Workman replaced Hembree and, after a stolen base, walked Brandon Drury and allowed Grichuk’s RBI single. Joe Biagini allowed two-out doubles to J.D. Martinez and Bogaerts in the eighth as Boston cut the lead to 6-5. Matt Barnes hit McKinney with a pitch in the top of the ninth and Galvis hit an RBI double to restore Toronto’s two-run lead. BOSTON – (Staff Report from Official News Release) – Prior to today’s game against the Toronto Blue Jays, the Boston Red Sox reinstated second baseman Dustin Pedroia from the 10-day injured list. To make room for Pedroia on the active 25-man roster, the club optioned infielder Tzu-Wei Lin to Triple-A Pawtucket. 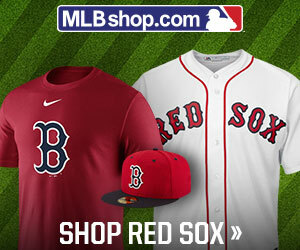 Pedroia, 35, began the season on the injured list with left knee inflammation. He appeared in three rehab games with Single-A Greenville, playing 23 innings at second base and going 3-for-9 with two walks, a double, and a run scored. Pedroia is in his 14thmajor league season with the Red Sox, the majors’ fifth-longest continuous tenure for any player with their current team. The three-time World Series champion and four-time Rawlings Gold Glove Award winner begins his 2019 season with a career batting average of .300, having played in 1,506 games for Boston. He appeared in only three major league games in 2018 due to a pair of stints on the disabled list, last playing for the Red Sox 315 days ago on May 29, 2018 against the Blue Jays at Fenway Park. Lin, 25, began the season with Pawtucket before being recalled by the Red Sox on April 6. He made his lone appearance for Boston that night, pinch-hitting in the club’s 5-4 loss to the Arizona Diamondbacks. Lin was Pawtucket’s starting shortstop and leadoff hitter in the club’s Opening Day game at Syracuse on April 4, going 1-for-4 with a walk and a stolen base. One of only four position players in major league history born in Taiwan, the left-handed hitter has appeared in 63 games for Boston over the last three seasons (2017-19). In 2018, he batted .307 (85-for-277) with an .810 OPS for the PawSox, also appearing in 37 games over five stints with the big league club. BOSTON – The Boston Red Sox will play in front of the home fans for the first time since winning their fourth World Series in 14 years ago last October, but they hardly have the look of a championship team after a disastrous 11-game road trip to open the season. Boston will raise a World Series banner before hosting the Toronto Blue Jays in today’s opener of a two-game set. Despite closing the 11-game trek with a 1-0 victory in Arizona on Sunday, the Red Sox return home with a 3-8 record and having allowed the most runs (72) in the majors through the weekend. Asked what kind of greeting the players expected from the Fenway Park faithful, left-hander David Price quipped: “Cheers, I hope. I don’t think anybody has ever gotten their World Series rings and gotten booed. So I think we’ll get cheered.” As bad as Boston has been, with its starting rotation owning a major league-worst 9.13 ERA, Toronto is tied with the Red Sox for last in the American League East with a 3-8 record and staggers into Fenway riding a four-game losing streak. “Our pitching staff is doing great, it’s just our hitting that’s frustrating right now,” Blue Jays manager Charlie Montoyo said after his team managed to score only six runs in a four-game sweep in Cleveland. Shoemaker is in the early conversation for the best offseason acquisition after posting near identical lines in each of his first two starts, allowing two hits over seven scoreless innings in victories over Detroit and Baltimore. A former 16-game winner who was limited to 21 starts over the previous two seasons with the Los Angeles Angels, the 32-year-old has 15 strikeouts against only three walks. Mitch Moreland is 3-for-7 with a homer, two doubles and five RBIs against Shoemaker. Concerns abound about the diminished velocity of Sale, who struck out at least 10 on 11 occasions last season before going on the disabled list for a second time due to shoulder inflammation. He was shelled for seven runs and three homers over three innings in his season debut at Seattle before tossing six strong innings and yielding one run on three hits over six innings at Oakland. Signed to a $145 million extension last month, Sale was 1-0 with a 3.38 ERA in three starts against Toronto in 2018. 1. Red Sox RF J.D. Martinez, who has hit safely in 10 of 11 games, had eight homers and 20 RBIs versus Toronto in 2018. 2. Blue Jays OF Randal Grichuk was 3-for-8 with a homer off Sale last year but was 1-for-16 against the Indians. 3. Boston did not lose its eighth game last year until May 1.